Precision CNC-milled metal frame, heated print bed, auto bed-leveling system, high-tech hot tip – these are some of the defining characteristics of the Drona 3D printer series from Botzlab Industries. Wait a second. Aren’t those the same features that every other company is touting as well? In short, yes, but there is more to the story. Meet Drona. 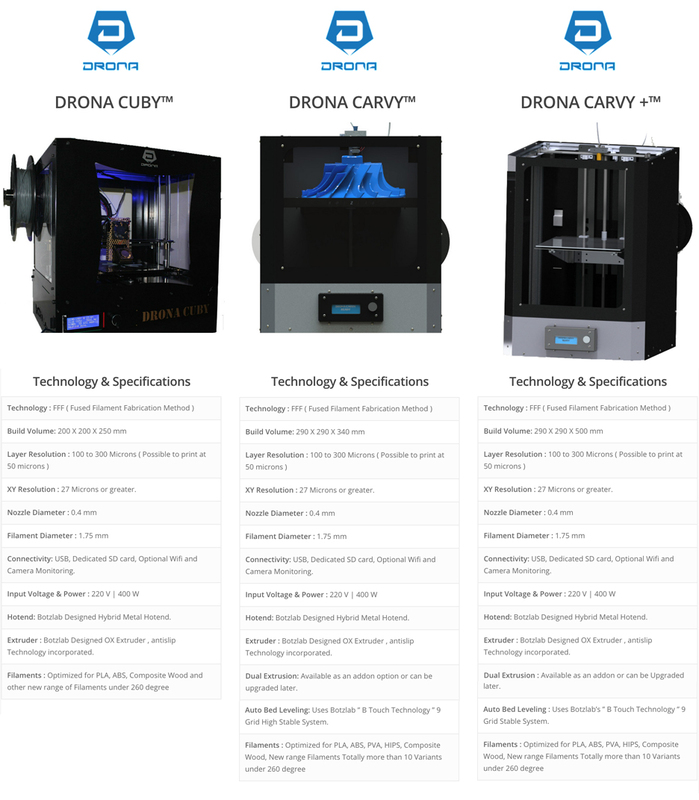 Drona is a new family of 3D printers built to compete against the most popular FDM printers in the world. The Drona family has respectable specifications and some very clever custom touches, but the hardware is not necessarily groundbreaking. What makes Drona different from the competition? Long before creating the Drona line of printers, Botzlab Industries was a rapid prototyping firm. For more than three years, Botzlab has printed prototypes for customers on Fused Filament Fabrication machines. To date, the company has logged more than 50,000 hours of printing time! The Botzlab team did more than hone their skills during their 50,000 hours of experience. They learned the biggest problems plaguing common desktop 3D printers. Armed with real world feedback, Botzlab set out to build its Drona lineup with a mission: Create the best 3D printer in its class, and address every issue discovered through their team’s hands-on experience. Initial reports say Botzlab has achieved its goal; consumers are raving about the Drona. Still, that’s only half the mission. 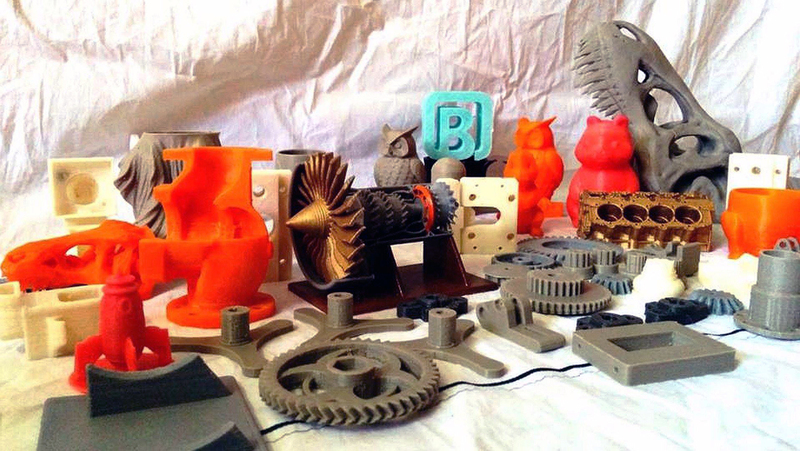 According to Botzlab, Drona is not just a printer series; it’s a catalyst for India’s 3D printing revolution. Currently, there are extremely few printers manufactured in India. Until this point, most desktop printers had to be shipped in from around the world. This solution worked, but importing printers is expensive, and local customer service was non-existent. By manufacturing the Drona in India, Botzlab keeps prices low and service high. 3D printing is still a novel technology in India, but Botzlab believes the Drona will help kick start the spread of 3D printing tech to India’s 1.3 billion citizens. With no single company dominating the desktop 3D printer segment, Botzlab is poised to be a major provider of 3D printers as the Indian market expands in the coming years. Readied with a quality printer and located in the right place at the right time, it’s now up to Botzlab to seize the opportunity.